Get notified of new foreclosed property listings, public auction schedules, real estate investing tips, and more! Get notified directly through email that goes straight into your inbox. Get notified fast! Once new content is published, you will get notified fast, within an hour or so. Subscribe and you won’t be the last to know, never miss anything published in ForeclosurePhilippines.com! Receive exclusive listings of foreclosed properties that cannot be published publicly online. This can be due to restrictions as stipulated in real estate broker accreditation agreements with banks, lending institutions, etc. You will never be spammed by us. We will never spam you. We follow the “Golden Rule”. We don’t like being spammed and we will never spam you. 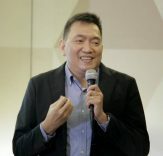 Subscribe to find out why thousands have already subscribed to ForeclosurePhilippines.com. We currently gets up to 35 new subscribers per day, that’s around 1,000 new subscribers per month! We now have more than 13,000 subscribers. There must be a good reason why people subscribe. Subscribe now to find out why. Our list of subscribers include REAL real estate investors who have actually bought foreclosed properties. Subscribe and be one of us! You can unsubscribe anytime. If later on you realize that you no longer need email alerts (for example: you already have more than enough investment properties), you can easily unsubscribe. No hard feelings!